Most of the listings that BAM will find and show you will not be a good deals as most sellers set Buy It Now price that's high. 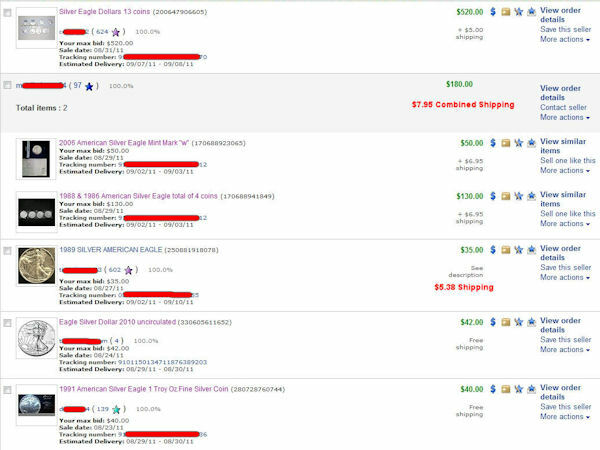 There are some sellers though who either do not know what their items are worth, who just want to get rid of an item or who are new to eBay and don't know exactly how it works. Those are the listings you want to see and BAM will find them for you within minutes they are posted. 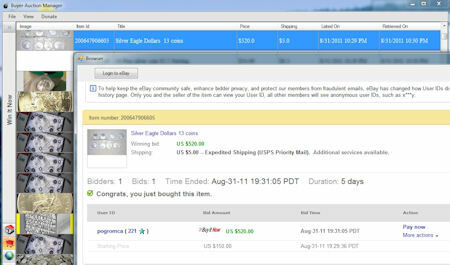 I purchased below items between 8/23/11 and 8/31/11 using BAM. During this timeframe silver spot price was around $40 - $42. 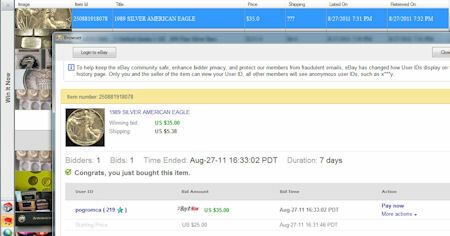 Silver Eagles were selling on eBay for average of $46.90 which is about $5 over spot price. 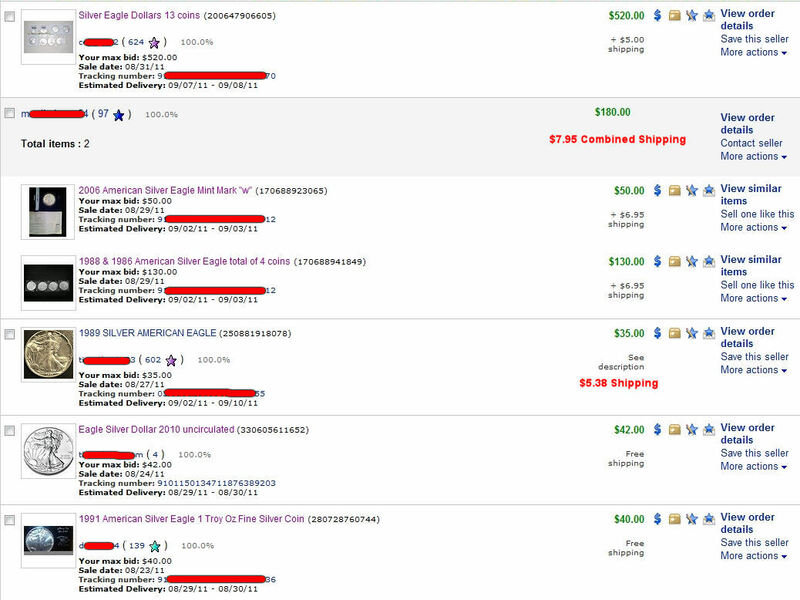 I calculated average by looking at completed listings during that timeframe and included shipping to the total. 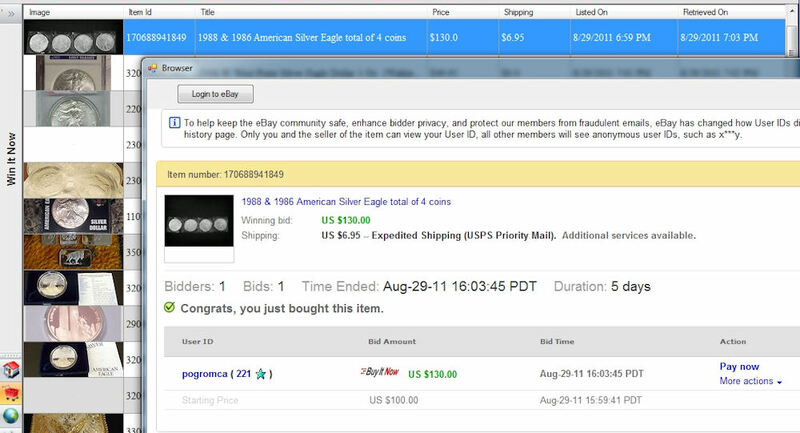 I looked at a mix of auctions ranging from 1 to 100 coins. I tried to pick up lower to medium ended listings. I used BAM to find and win Silver Eagles on eBay. 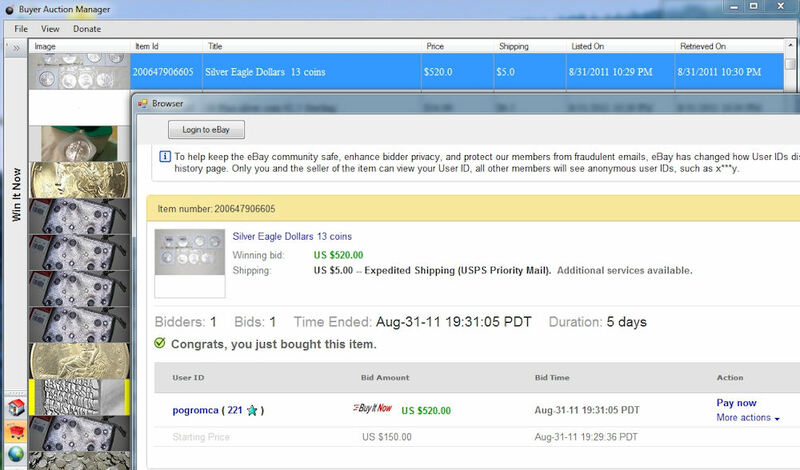 You can use it to find anything you're interested in purchasing by providing your own search keywords. 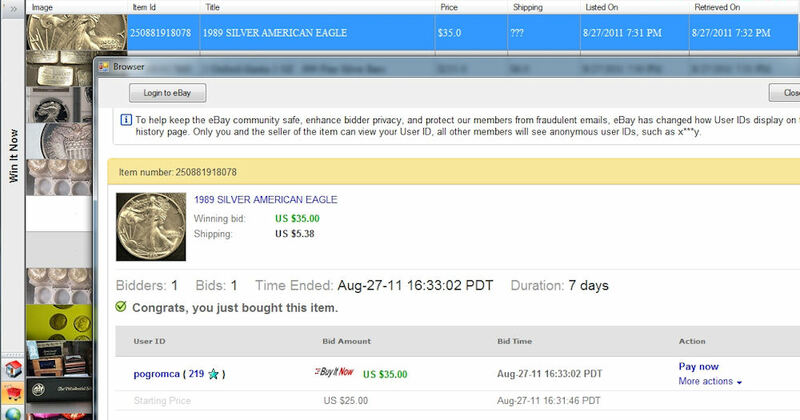 As you can see from above screenshots, you can find great deals using Buyer Auction Manager if you have the time and patience.